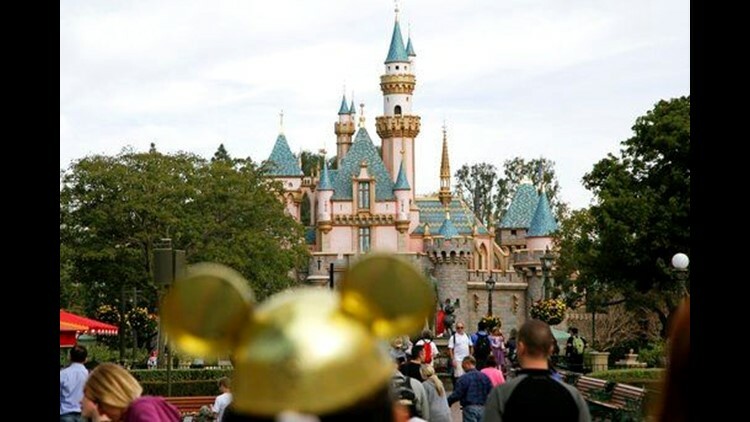 GALT, Calif. (AP) — Thieves made off with 8,000 Disneyland tickets worth about $800,000 when they stole a box trailer from a youth agricultural education organization that was going to distribute them to participants at a conference in Southern California, officials said. The trailer owned by Future Farmers of America was stolen Wednesday from the group's office in the city of Galt, south of Sacramento, the California Highway Patrol said. Security footage shows a dark pickup truck backing up to the trailer and driving it away, said Matt Patton, executive director of the California chapter of Future Farmers of America. Patton said the thief broke through a gate and broke a lock before hooking the trailer to the pickup truck. "They had definitely been scoping it out because they went directly to the trailer and didn't waste any time doing anything else," Patton said. The trailer also was loaded with another $800,000 in audio and visual equipment for use at the group's upcoming annual leadership conference in Anaheim, which starts Sunday. Patton says Disneyland has canceled the tickets and is working to print new ones for the California students attending the four-day conference so they can visit Disney's California Adventure Park on Tuesday. The highway patrol warned people to be cautious when purchasing Disneyland tickets from unknown sources.